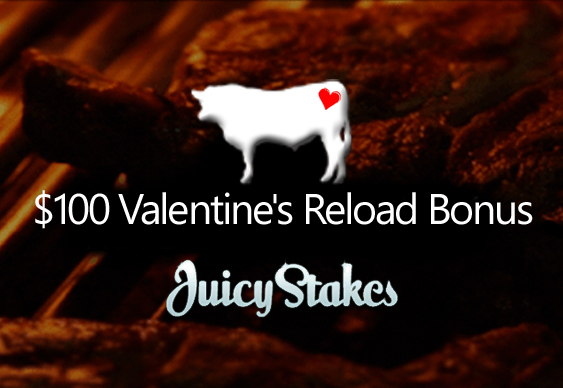 Players who've gone a little OTT on the Valentine's Day goodies and need a bankroll boost should head to Juicy Stakes which has a nice weekend offer. Reloading players can help themselves to a 100% bonus up to $100 if they top up between 14th and 17th February and use the code FEB2014. There's a month to clear the bonus. Juicy Stakes is also drastically reducing its withdrawal fees for regs. Players that earn 100FPPs in a month will be able to withdraw at the new discounted rate. This is for withdrawals by cheque. Western Union withdrawal fees have also been reduced. Newbies looking to sign up at the site can do so with a bonus of up to $1,000.